Tara Novak is one of the most sought-after performers in the USA & Europe for concerts, festivals, weddings, & private/corporate events. 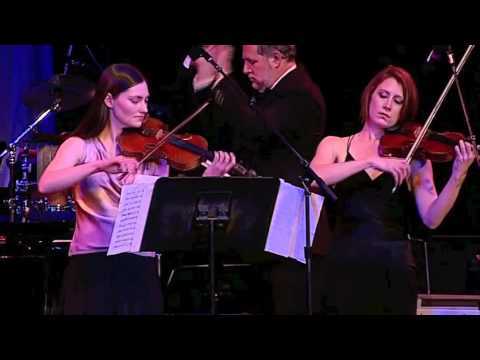 Tara toured as a solo violinist/Irish fiddler with Riverdance & the Three Irish Tenors, as well having shared a stage with Stevie Wonder, Rod Stewart, Mannheim Steamroller, and countless other celebrities. A graduate of Berklee College of Music, her performance styles range from background music to high-impact choreographed sets; her musical genres include classical, jazz, pop, Irish, & rock & roll. Tara can perform as a soloist or with numerous other ensembles. She's also a highly trained vocalist & can add vocal numbers to the set if desired. Tara is a beautiful, warm and kind soul who had all of us at the Gallery Reception wanting more. She is professional, accommodating and had an inviting smile the whole time. She is a rare gem. Will book again and would recommend her for all occasions. Thank you so much, Jennifer! It was such a pleasure meeting you, and performing surrounded by your beautiful art! Tara was amazing! Easy to work with. She and my daughter assembled the ceremony playlist and it was beautiful. A solo violinist was the right touch for the ceremony. Tara played with such grace, it really added to the event. She also played at the cocktail hour and her repertoire of songs were both wide ranging and well suited for the event, providing perfect background music. Tara was the perfect choice! It was an absolute pleasure to both meet you and perform for your daughter’s wedding. It was a beautiful event- congratulations again to your daughter and her husband, and to both of the families. For sure one of the best decisions of our wedding day was having Tara and her string trio play our ceremony music. We opted for a mix of classical/celtic-y/folk-y music for our ceremony. I met with Tara prior to the event to go over what I was thinking and talk about what she could make happen (though we met in person over coffee in the city, she was willing to discuss however was most convenient for me.) All along the way, Tara was super accommodating and willing to work with me to really make sure the music for our wedding was exactly what we had envisioned. She was very understanding of what we were looking for and gave really helpful suggestions when I was unsure of some exact details. Our processional/exit pieces were a little more non-traditional, but she was more than willing to learn the new pieces to play for our ceremony. I can't count how many compliments I got from the guests about how amazing the trio was, and the few songs I was able to hear before the processional begin sounded absolutely beautiful (their rendition of "Bless the Broken Road" had my dad and me tearing-up). The processional, entrance, and exit pieces were all so beautiful and were even better than I could have imagined. Thank you, Tara, for providing the perfect music to our wedding day. Thank you so much, Amy, for having us be a part of your wedding. It was a really beautiful and unique setting, and I’m so glad we were able to contribute to that. All the very very best to you and Michael in the future!! She was amazing! So very kind and alot of fun to be around! She completed my wedding day perfectly and everyone really enjoyed her music! Thanks so much for the review, Brieanna! Truly, the pleasure was mine - I loved being able to contribute to your beautiful ceremony and a very special day. All the very best to you and Lance! Tara is a MUST for your wedding! From the start Tara was amazing and accommodating. If you have a song that you would love to have her perform, she can do it! It was an elegant wedding and Tara made it exceed our expectations with her professionalism and beautiful music. Thank you for making our wedding extra special! Thanks so much for the kind review, Casey! Really, your wedding was very beautiful! All the very best - and congratulations! Versatile, personalble and professional violinist. We saw Tara perform an electric violin set while on vacation in Ireland in 2009. When it was time to plan my father-in-law's retirement party, I knew we wanted her to perform. Tara has a way with connecting to people while she plays. She doesn't please the crowd, she really wows them! 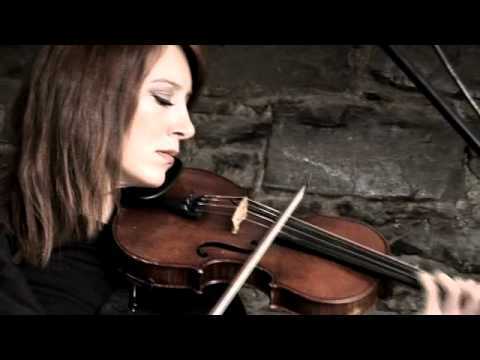 Although trained classically at the UMKC Conservatory, multi-instrumentalist (violin, viola, electric violin, voice) and composer/arranger Tara Novak has devoted the past 15 years of her life to studying music of many genres, specializing in Irish traditional music, jazz, and classical crossover. Since 2007, Tara has been dividing her time between Ireland and the USA, finally settling in Boston in 2012 where she completed her studies at the prestigious Berklee College of Music. She works extensively as a soloist, and in 2013 performed the Boston premiere of Irish Riverdance composer Bill Whelan's double concerto Inishlacken with fiddler Zoe Conway. She is the solo violinist with both the Three Irish Tenors and Druid, as well as music-directing and leading her own shows, Ishna and Nollaig: An Irish Christmas. With these, she has toured throughout Europe, North America, and the Caribbean, and performed as a featured soloist at over 500 corporate, private, and charity events in Ireland, the UK and the USA. While Tara works largely as a solo performer, she can also provide any number of ensembles for your event: classical strings (solo to quartet), electric strings (solo to quartet), jazz trio, violin & piano duo, vocalists, etc. She can work with you to tailor the program to your event, and is happy to provide quotations on special arrangements of pop or contemporary songs as well. Please feel free to contact Tara for more information or a quote for your event. If you are interested in hiring Tara Novak as an electric violinist, it is important that proper sound, lighting, and staging are provided for the event. Please contact Tara for assistance in determining the level of sound/lighting equipment or staging required for your event. Tara will provide her own wireless microphone and in-ear monitor system. Below is a small sample of repertoire available. Please contact Tara for more details or for any specific requests.